Please be aware; this is purely a listing service. None of the child carers or their qualifications have been checked out or verified by Wharfedale Mumbler. Wharfedale Mumbler does not endorse or recommend any of these child carers and parents are required to make their own enquiries and check references. Please see our full terms and conditions. 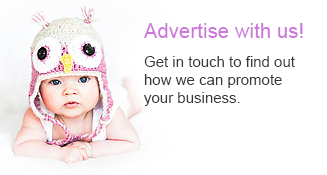 Contact us here if you are a nursery, preschool, childminder, nanny or babysitter and would like to be included in this listing. First of all, congratulations on your pregnancy! I hope you are really excited? As a midwife for 35 years, I know how pregnancy can be exciting and at the same time worrying. Are you feeling anxious in between your midwife appointments? Do you feel you don’t have enough time to ask questions as she’s so busy? Would you like more time to spend exploring your pregnancy, labour, birth and postnatal options? I offer one-off appointments to compliment your NHS care, right through to full antenatal, labour, birth and postnatal packages. Held in the comfort of your home at times to suit you. You may want to discuss induction of labour or have help to make a great birth plan. Maybe you’d like to feel better about a previous birth experience? We can do this together using a deeply relaxing technique to help you remove distressing emotions attached to your memories. If you have a breech baby I have techniques that are proven to encourage baby to turn! 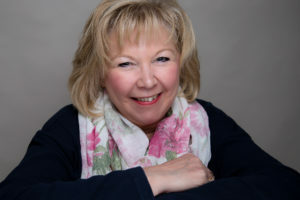 Please get in touch to see how I can help you achieve a positive pregnancy and birth. A library of baby slings and carriers that are available for trying and hiring at one of the 12 drop-in sessions held a month. If a drop-in isn’t for you then one to one appointments are available. Please email carrymoorslings@gmail.com for details of the drop-in sessions and on how to book a one to one. Healthy you, healthy baby, healthy family. Fully qualified PT specializing in Pre and Post natal training as well as female weight loss and fitness. Individual or group sessions available in both the gym and home environments. All packages come with family friendly nutrition. First session is complementary. 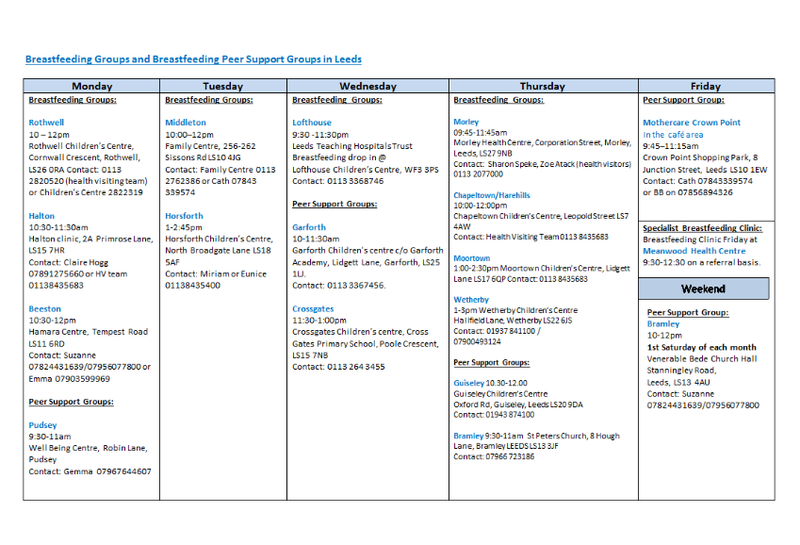 We offer breastfeeding support to mothers are every stage of their breastfeeding journey. 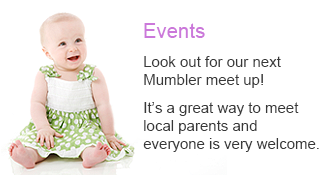 Run by a team of volunteers with breastfeeding experience and appropriate counselling training. Call our helpline on 0345 120 2918 for support or search online for your nearest support group. La Leche League Cafe, Breastfeeding support group. First Friday of each month 10.00-12 noon. The group is run by La Leche volunteers. Topics covered in the group include the advantages of breastfeeding, childbirth and the new baby at home, the art of breastfeeding and overcoming difficulties, nutrition and weaning. Expectant mothers & new mothers welcome. Pram access via the entrance on Riddings Road. It is our mission to support families in and around the Leeds area who are in need of urgent baby essentials such as Nappies, Wipes and Infant Formula. 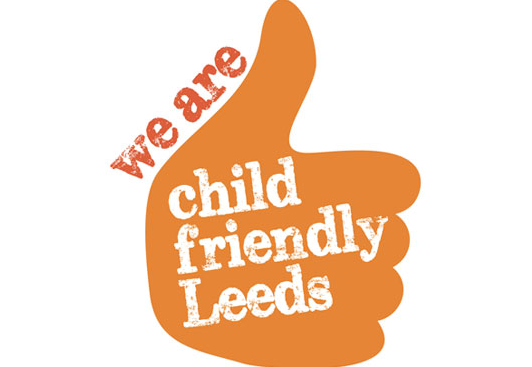 We also support Leeds families by sourcing baby equipment and clothes. We always need donations of nappies, wipes, baby formula, baby food and baby equipment. Because no baby should go without! Being pregnant and welcoming your baby into the world can be very exciting. There’s a lot to learn and it can be worrying at times. Preparation for Birth and Beyond, is to help you and your partner think about the birth of your baby and the early months after your baby is born. Ask your midwife or children’s centre for details. Trained and accredited by Humanists UK to write and conduct naming ceremonies. Supporting families who wish to celebrate a child (e.g. a new baby, an adoption, or a blended family) in a non-religious way. NCT can offer you a wide range of antenatal courses and services – the ideal way to find answers to all your questions and support you through every step of your journey. For practical and emotional support in all areas of pregnancy, birth and early parenthood including help with feeding. Calling us costs the same as any local call, however, if you have free ‘inclusive’ minutes on a landline or mobile, it will be included in those. A class run by Guiseley Children’s Centre. Call 0113 3782861 For more information & to book.